More culottes. I actually am starting to feel a real sense of guilt now each time I buy something culotte related. 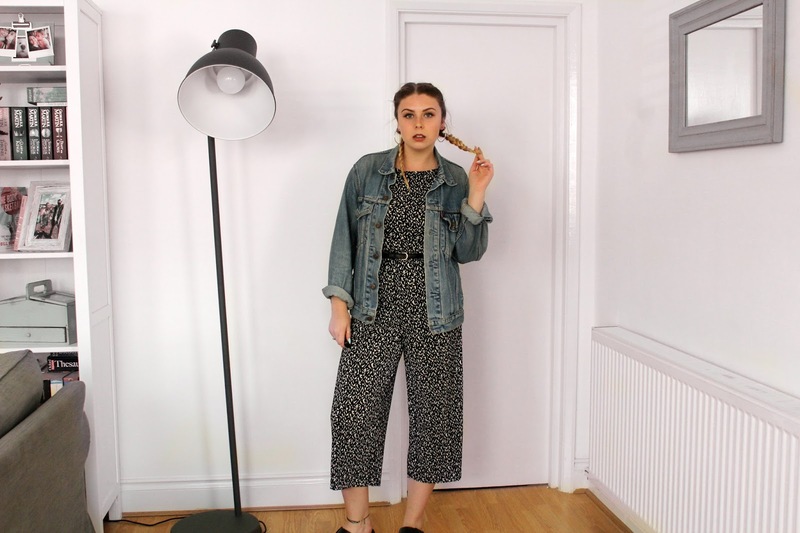 And then that guilt triples as a write yet another culotte blog post. But I can't help it. I am so obsessed this summer! And really how could I not be, if you own a pair you know the comfort they bring and yet still look good win win! I am just loving this geometric print, I feel like it is quite bold but without being too in your face. Good old monochrome! Also am absolutely in love with braids right now! I'm still not too great at doing them. I get such a bad achy arm right in the middle of doing them. I can't wait for my hair to get longer again because they do just look sooo much better on long hair! When I'm off on holiday in a few weeks I think braid with definitely be my go too style to tame my curly locks! Do you have a thing for culottes like me or are you loving something different? And what about braids love or hate? If you want to give me a follow on Bloglovin it would realllly make my day! Plus that way you won't miss a post. Love the jumpsuit! It looks amazing on you! Ahh thank you so much that is so sweet! I know they are the best aren't they! & you don't have to worry about making an outfit its all done for you ha! Love that jumpsuit, can you still buy it! The braids look ace with this look! Thank you! I'm not sure if its still available I got it last year so I would guess not sorry! !